Low energy Iris which originated on March 24, 2018 is likely to hover around a low end Category 1 cyclone. Iris will track south through the Coral Sea. The Vanuatu Meteorological Service says Tropical Cyclone Iris has moved away from Vanuatu. The category one cyclone was moving west southwesterly at 53 kph and is now in the Coral Sea. 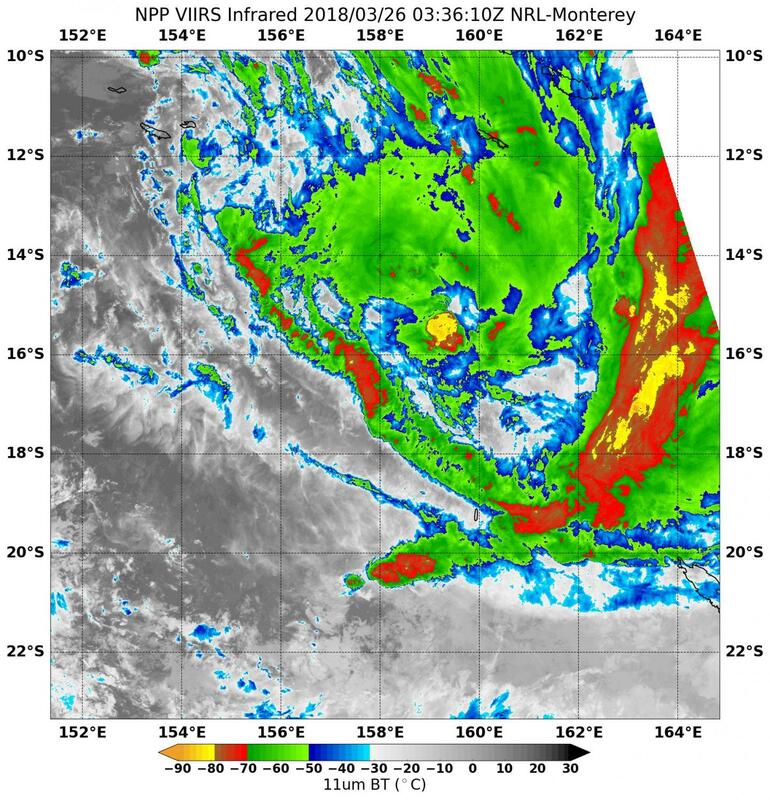 The potential for Tropical Cyclone Iris to further intensify and move back towards the Vanuatu group was low, according to the Vanuatu Met Service. This is a low end tropical cyclone and will likely weaken back to just a tropical low this week then stall in the Coral Sea area for a full week not strengthening and not moving much either. Iris may bring in some wind, surf and perhaps some brief wet weather to some parts of the Queensland coastline. The system will not intensify much before it dissipates within two days. This image was captured by NOAA/NASA's Suomi NPP satellite on March 26, 2018, two days after the storm formed. The Suomi NPP satellite is a joint mission between NASA and NOAA.